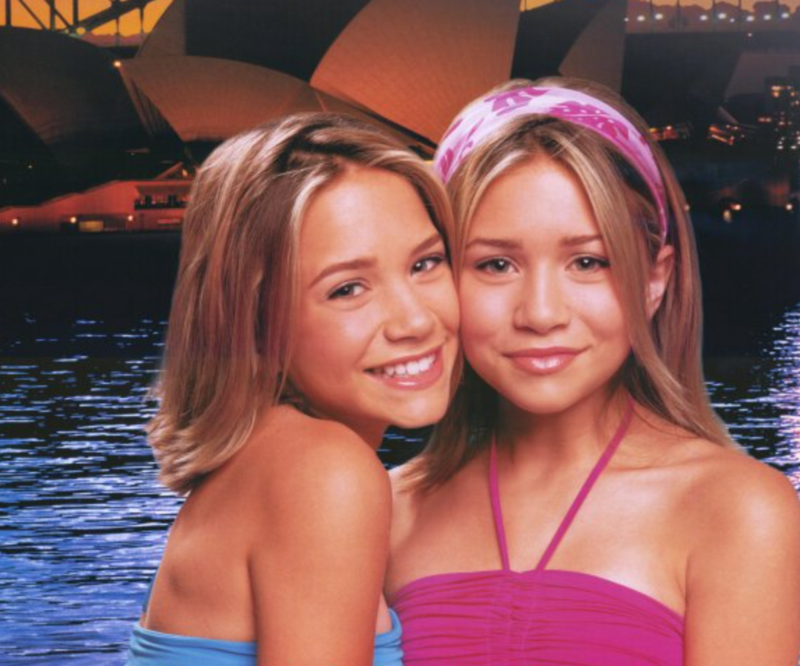 If you were growing up in the late ‘90s and early 2000s, chances are Mary-Kate and Ashley Olsen were a very important part of your upbringing. From their start on Full House, the twins dominated the direct-to-video market and had some of the most amazing merch money can buy. Of the many amazing things the Olsen twins did for us growing up, one of their most important contributions to the millennial generation was inspiring wanderlust. From 1999 to 2004, the Olsen twins released a series of films that took place all over the world, from Paris to Australia to Salt Lake City. The twins knew how to travel in style and since most of us were not flitting around the globe, we relied on MK & A to show us the world. It’s been almost two decades since the twins took us on our first adventure and those films are still all I think about every time I travel — and I’m ~positive~ I’m not alone. With this in mind, here are the 7 Mary-Kate and Ashley Films that gave you wanderlust as a kid. 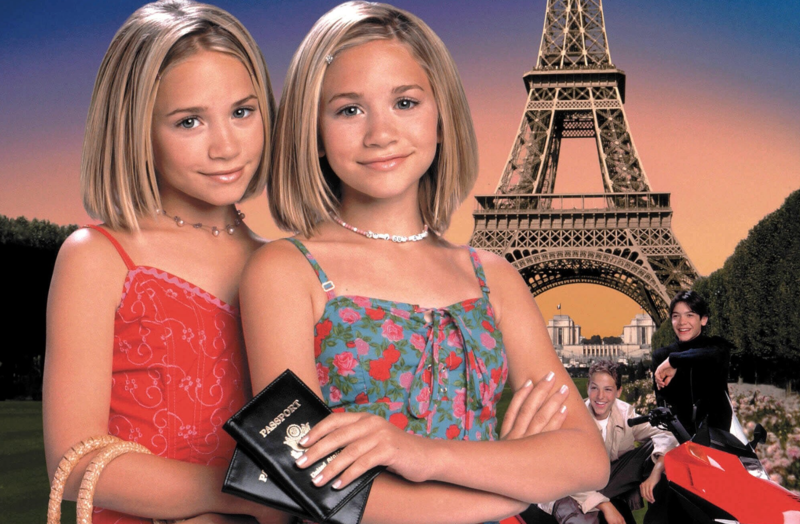 On their first foray to Europe, Mary-Kate and Ashley starred as Mel and Ally Porter, teens on vacation in Paris to visit their grandfather, the U.S. Ambassador to France. The pair quickly ditch their handler and galavant around gorgeous Paris with their teenage boytoys and their new supermodel friend. It’s ~literally~ everything you wanted at 15. This film is so charming, it almost makes the witness protection program seem fun. The twins star as Maddie and Abby Parker who witness a museum robbery in their home in America and enter witness protection after the mastermind seeks vengeance on them. They keep revealing their witness protection status, and are essentially placed in every location on Earth before finally being sent to Sydney. After struggling to adapt to Australian life, the twins find themselves a posse, Australian hunks, and even manage to take down the bad guys. For MK & A, it’s just another day’s work. In one of the most underrated Olsen films, Mary-Kate and Ashley star as Chloe and Riley Lawrence, who travel to the London for a truly global model U.N. competition. When the country they usually represent is taken, the team must adapt to represent the United Kingdom. As with most Olsen movies, the film is filled with scenic shots of London and the American team is full of chaotic adorableness. Also, House and Chicago Fire star Jesse Spencer serves as Chloe’s love interest. The twins star as Madison and Alex Stewart in this film about a dream spring break to the Bahamas. There, they face mean girls, cute boys, and are even involved in some robbery drama after one of their love interests is accused of the crime. One Tree Hill’s Austin Nichols and Megan Fox also appear, in some of their earliest roles. In this film, the twins are Taylor and Kylie Hunter, who’ve recently turned sixteen and embark on a journey to the 2002 Salt Lake City Olympics. Early on, their car gets stolen, triggering a series of events that ~could~ make you never want to travel again (but Mary-Kate and Ash are super resilient when it comes to travel mishaps). The twins and their group of friends make their own fun despite the chaos and, in typical Mary-Kate and Ashley form, even manage to snag a cute guy or two. In their last international film, the twins are Leila and Charli Hunter, who are interning at a fashion house in Rome. The girls are unjustly fired but managed to finagle their way back into the company. After a major disaster, the girls and their fellow interns must save the day. Good thing Mary-Kate and Ashley are pros at saving the day. In their last film together, the twins star as Jane and Roxy Ryan, two sisters from Long Island, who embark on an adventure in the Big Apple. Jane has an interview for a prestigious scholarship and Roxy is hoping to drop a demo at the label of her dreams when they hit numerous roadblocks. Your Motocross crush Riley Smith, Eugene Levy, Andy Richter, and Jared Padalecki also star. 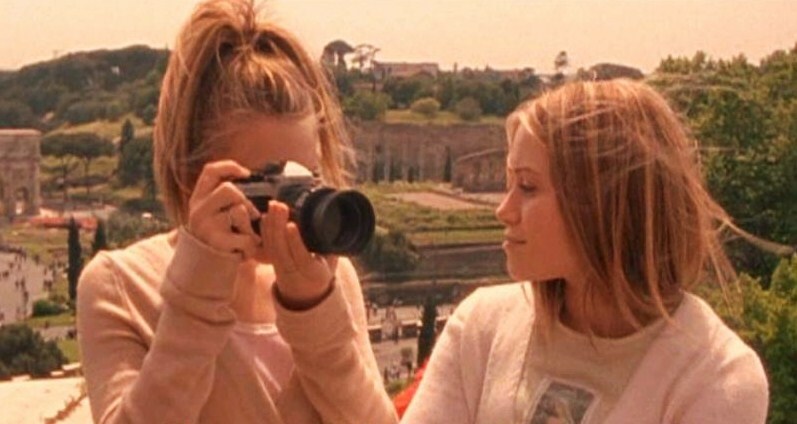 Next time you’re planning your vacation, maybe take a walk down memory lane and get inspired with some of your favorite Mary-Kate and Ashley films.